Electric motors, mechanical gearboxes for the power transmission and electronic speed variators. Design, production and product novelties of an all-Italian company. Neo WiFi moto-inverter, also with remote and wireless programming and control. Headquartered at Castenedolo (Brescia, Italy), Motive is specialized in the design and production of electric motors, inverters and mechanical gearboxes for the power transmission. The company took part in the event “Hannover Messe Industrie” with particular highlights on electronic speed variators. After the success aroused in the 2013 edition, it was on show again the innovative series of NEO-WiFi moto-inverters, which had already attracted the attention because ranking in the first places of the international event “Hermes Howard for Innovation”, in which participate all the main exhibitors of the above-mentioned German trade fair. The series was showcased with some improvements and a widened range with powers reaching 22 kilowatts. The target of a moto-inverter integrated and prearranged by the manufacturer is to eliminate times and costs for the study, the installation, the wiring, the programming and the testing of the motor+inverter system. NEO-WiFi is a patented and user-friendly system, with wireless control, extractable and remotable, induction powered when positioned in its housing on the motor or operated by lithium rechargeable batteries. Thanks to its innovative solutions, NEO-WiFi is conceived like a turn-key integrated system with each part – motor, inverter and control – designed for external use, and with standard remote control function. 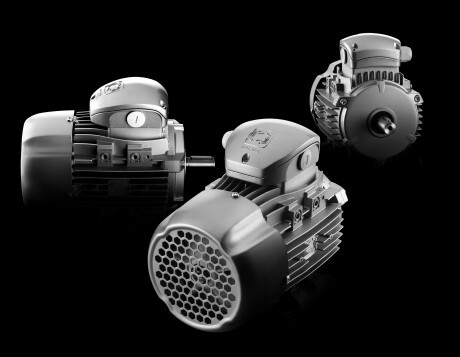 The manufacturers of pumps, fans and other machines can therefore offer a finished “plug-in” product, without any longer entrusting their customers with risky and expensive installation operations. At the exhibition, it was also possible to see from close-up some prototypes of new mechanical speed reducers, with parallel and orthogonal axes and bevel gears, which complete the range. The real innovation is Neo-Solar. Actually, it is an inverter for assembly on motor board, directly powered by solar panels, and the novelty consists in the fact that, even if it is an inverter operating “island mode”, that is to say without net power supply, it needs no voltage stabilizers and batteries between solar panel and inverter. It can be mounted, for instance, on a pump used in places where the electrical power supply is not available, but also simply to have hot water while saving energy. In the sector, at present very rare inverters with such capacity exist and, apart from not being intended for an on-board assembly, they have high prices. On the contrary, when this solution is available on the market, besides being effective, it will be characterized by a right price and will contribute in achieving notable savings in the bill. Operating since 2001, Motive Company was born from the technological know-how and the innovative skills of the founder members Giorgio Bosio and Giuseppe Corsini, in order to design products inspired by concepts differing from the mere “repetition” of the state of the art. At first the company focuses on the design of electrical motors, outsourcing their production, in 2004 it starts manufacturing mechanical reduction gears, in 2008 coaxial reduction gears and, just in that year, it deems it more useful to establish a factory to follow the various production phases directly, up to the move, in 2012, to the current headquarters. In 2013 it started the production of inverters (or electronic speed variators), and «while before that time we were committed to improving the existing, explains Bosio, thanks to electronics we have tried to create something new, for new functions and new uses, and this has turned into our main strategy». It is worth underlining that the success of the strategy adopted by the company has been confirmed also by the sale expansion in various Countries of the world, with the implementation, in 2003, of a warehouse in Lyon for the distribution in France, with the setup, in 2005, of a further production plant in India, in 2006 with the opening of the new factory at Montirone (Brescia, Italy), completed in 2007 by a second plant, and in 2010 by the establishment of the logistic centre for the Gulf Motive M.E FZC in the Arab Emirates. Motive products are defined “general purpose”, that is to say intended for a general, and not specific, use. «An important characteristic, specifies Bosio, is that they can be customized, and this constitutes one of our strong points». They study, in fact, the customer’s application and its criticalities, in order to customize the motor, the reduction gear or the inverter, creating a product that, in the vast majority of sales, is included in the “catalogue” and conceived to satisfy the widest array of user customers. In the case of mechanical reducers, for instance, unlike several producers, the Motive product is only one, it can be placed in any position and, thanks to its modular structure, with any desired fastening system. 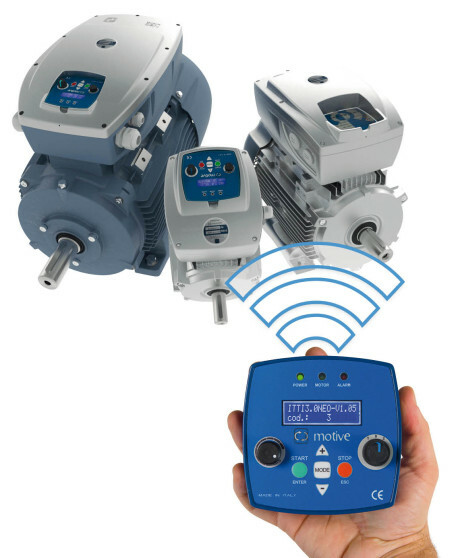 Moreover, inverters are increasingly used, but the suitable motors for their use generally call for specific features that for Motive, on the contrary, are standard. 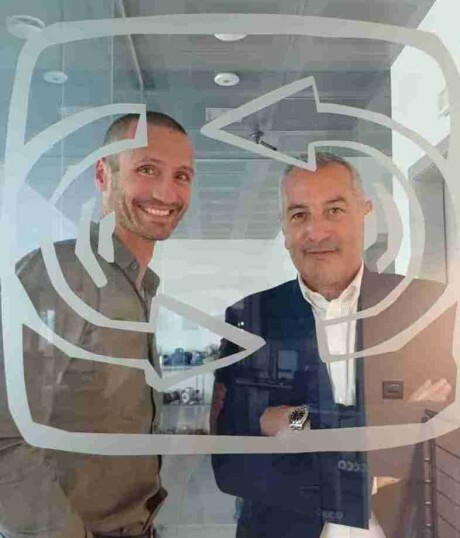 From the left: Giorgio Bosio and Giuseppe Corsini, founder members of Motive. «Research and Development are essential for us, underlines Bosio, for this reason our company name is Motive». Since its birth, in fact, the company has not simply reached the technological level of other competitors, but it has been inspired by an idea, and the name Motive derives from the fact that the motivation was, and still is, to give valid motives to customers for buying its products, thing made possible by the creation of added values that others cannot offer. Bosio believes that the future of Motive will depend on the capability of creating novelties, in comparison with the entire market, which is increasingly globalized and where products with consolidated technology can be found worldwide, with advantages but with disadvantages, too. They have opted for the in-house production to offer services and to achieve product control and flexibility, granting also its quality. What most inspires this company, motivating it more and more, is to succeed in creating “things” that astonish customers, opening new prospects not only to the distributor but also to the manufacturer that can, with these new products, offer in its turn something new to its customers, by developing its offer and changing strategies, catalogues and ranges. Motive has certainly determined the evolutionary rate of the sector but it is going to develop further, in order to gain new customers’ confidence in various fields, so that they can ride the wave of its innovations, too. 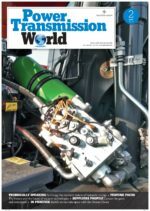 Of the three, electric transmission has proven the most popular, and although diesel-hydraulic locomotives have certain advantages and continue to be used in some European countries, most modern Diesel-powered locomotives are diesel-electric. Tuve una entrevista con el Sr. Jaime Leopoldo Cabana Gamarra representante de Uds.Perú en la ciudad de Arequipa, por lo cuál encuentro muy interesante el proyecto de introducción de sus productos en el Perú y particularmente en el sur del país donde se concentra la más importante actividad minera. Favor requiero un comentario y confirmación sobre el mensaje. I have requirements for 12 nos. motor for door.